Mylan Inc. (NASDAQ: MYL) made waves earlier this year by awarding former CEO Robert Coury $98 million despite criticism for increasing the company’s EpiPen by 400 percent over seven years. According to CNNMoney, shareholders of the corporation rejected the plan to payout Mylan’s executives on Thursday. The rejection of the plan demonstrates shareholders conflict with the drastically high sum Mylan looked to pay Coury. According to the CEO of The Value Alliance, Eleanor Bloxham, only 2 to 3 percent of “say-on-pay” proposals are denied. Heather Bresch, the current CEO of Mylan, received a $13.8 million in total compensation as well. Although the company is not required to change its compensation plans, Bloxham urges that it reconsiders. She said, “You can legally go through a yellow light, but is that the best way to drive? No. That's exactly what got Mylan in the position it's in today." Mylan defended the Coury’s compensation, citing his “strong financial performance” during his 15-year tenure as a senior exec. 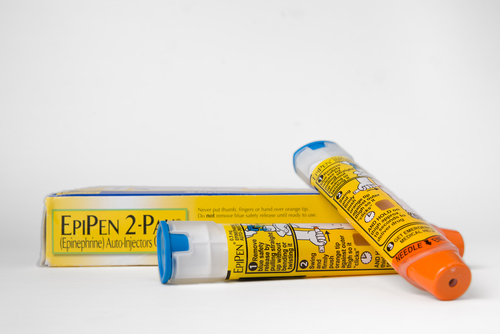 A coalition of pension funds, backed by the Institutional Shareholders Service, launched a campaign against the company’s directors due to a failure to provide oversight for the EpiPen price hike. Investors were recommended to vote against the executives. Despite this opposition, Mylan released a statement that the board of directors was re-elected. However, the votes have not been published yet.